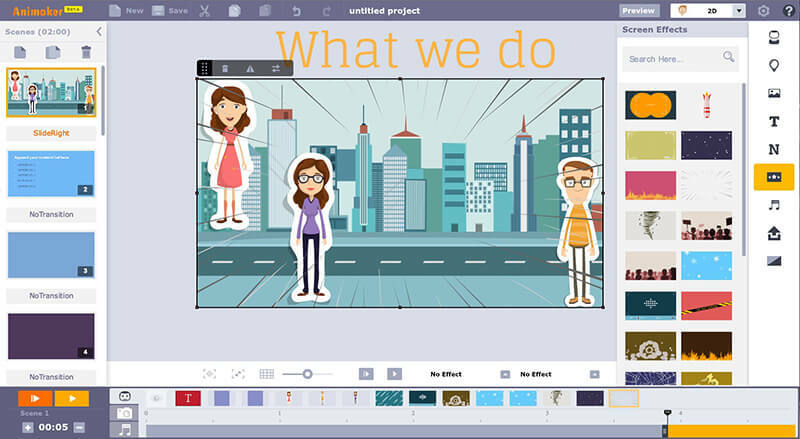 Loaded with rich editors, Animiz lets your imaginative mind to structure powerful cartoon videos for free. Available in .mkv, .mp4, .wmv, .flv, .mov and .avi format, this time saving and user-friendly online cartoon video maker demands zero coding. So go ahead with your ideas, portray them through funny animated videos and share them with your circle to showcase your creative side. This comes with plenty of video templates, allowing you to edit them online. 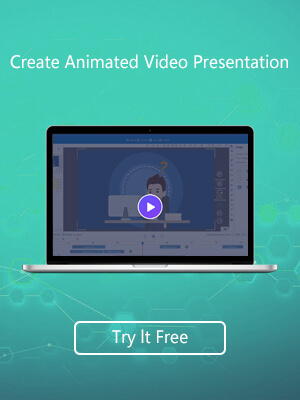 With this free of cost web-based cartoon video maker, creating a story and sharing it on YouTube or Facebook is as easy as possible. Biteable is another web-based cartoon video online tool that allows you to design a custom animated short film in just a few minutes. Pick from the pre-made 2d and 3d moving pictures or live templates, add music from the vast library, sign up and voila! You are ready with your short animated movie. Moovly, a cloud-based cartoon video maker, is another route to channel your inspiring ideas into funny characters. 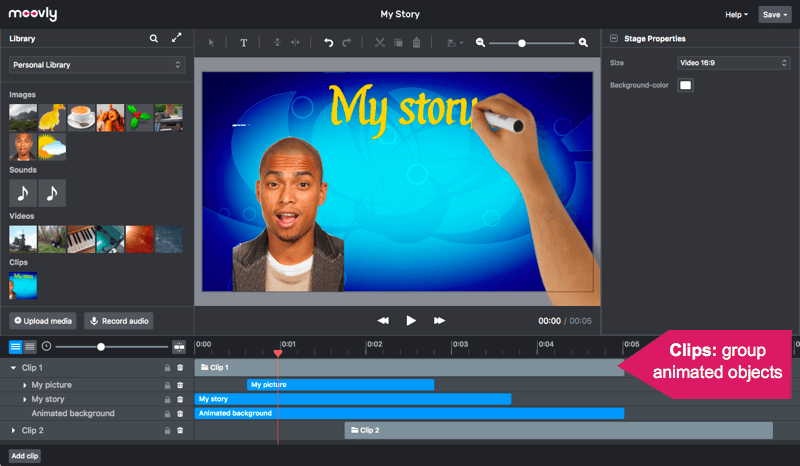 Having a rich library of 500,000 plus videos, audios and images, it lets you prepare animated videos in a moment. You can also select from the vast animation styles such as Doodle Marker, Stamps, Infographic, Clean Graphic and VideoBlocks Library to get on with it. 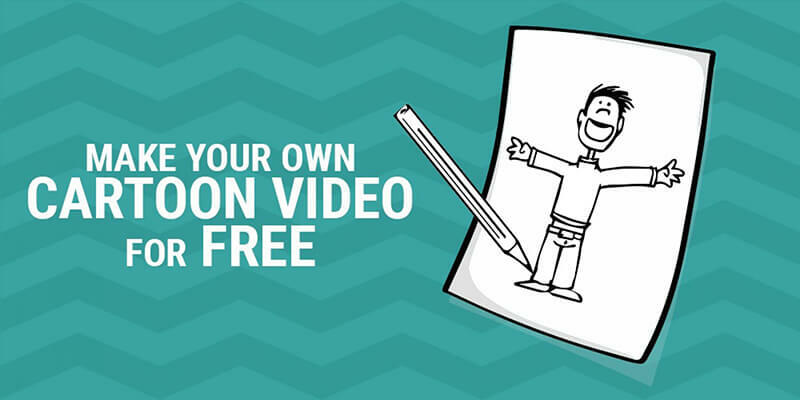 This web-based 2D cartoon video maker tool inspires ‘Do It Yourself’ among all. Incorporated with 6 video styles, it takes customisation to an entirely different level by allowing for 720 diverse videos to be made. There is more to this free web-based tool, 40 plus templates, 50 plus animation styles, 100 plus backgrounds and over 20 texts prebuilt being the major attraction for a creator. 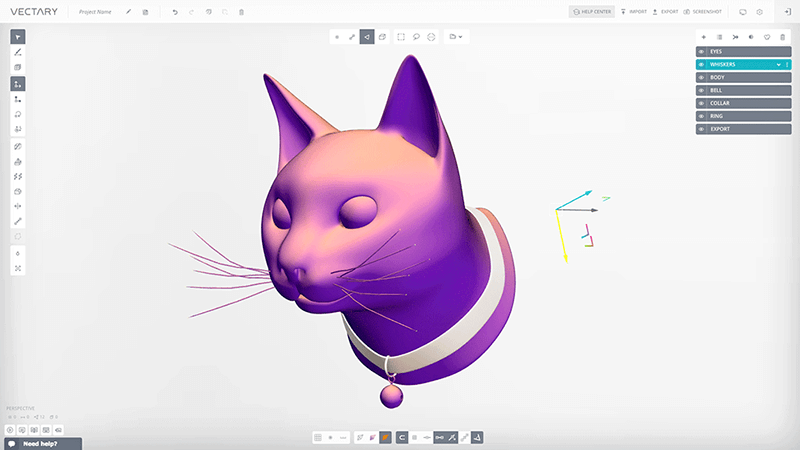 Cartoon videos are incomplete without 3D modelling, which is why Vectary has brought forward its animation maker tool. 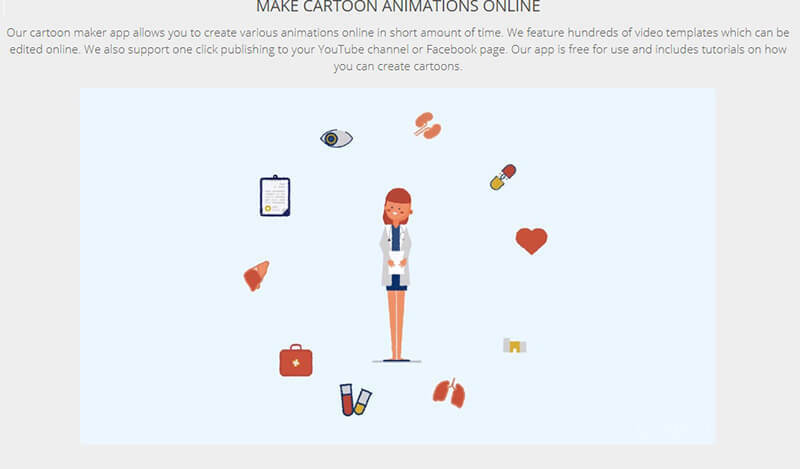 Create your customised videos by picking from the innate templates, store it in the cloud or share it with your community, to experience the joy of cartoon video making. 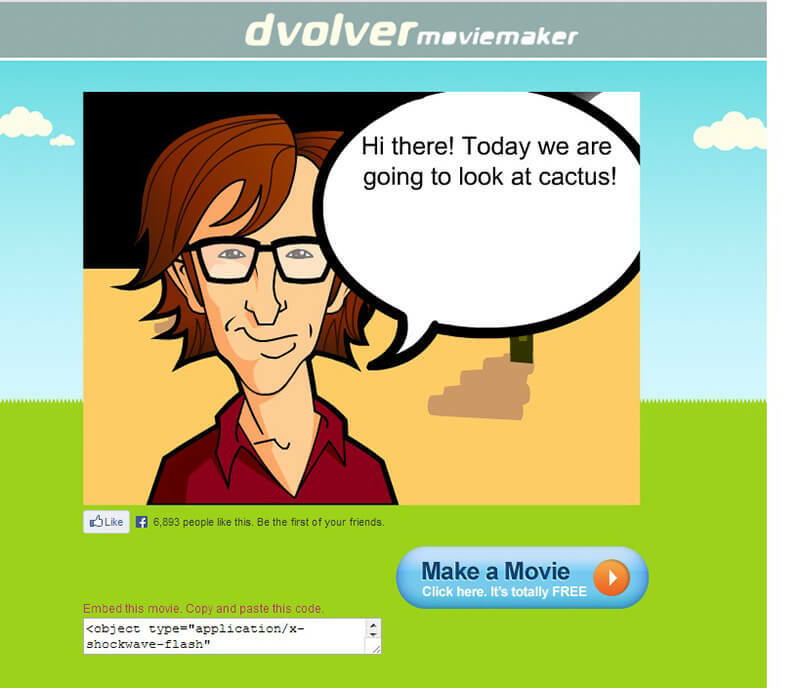 Dvolver MovieMaker is another simplified online tool, which lets you create cartoon movies free of cost. Just pick from the character backgrounds, insert dialogue text bubbles and choose from a scenario to produce professional videos. Flaunting time relationships with them have found a new avenue with this web-based tool. Imagine a high-definition cartoon explainer video composed in less than 30 minutes. 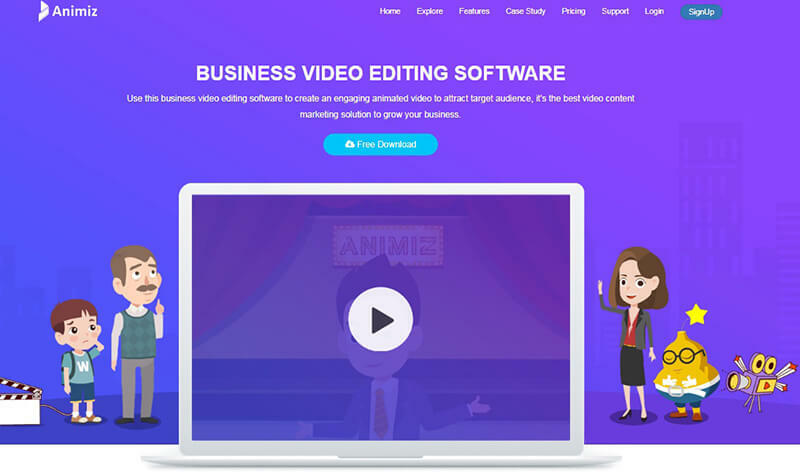 MakeWebVideo is exactly that platform where you can select from a bunch of cool templates to create entertaining videos without even spending a penny. Now that you have a host of online cartoon video making websites before you, start illustrating your stories in an engaging and funny manner. As these arrive free of cost and with a simple interface, think twice before you approach a design studio the next time. With these tools at your fingertips, you can easily give shape to your imaginative characters and portray your story all by yourself.